ruthdelacruz | Travel and Lifestyle Blog : Kenny Rogers Brings Back Garlic Butter Chicken! Kenny Rogers Brings Back Garlic Butter Chicken! There are memories that we want to remember (and re-live once again - for me it was my visit at Casa Loma), and there are food that we want our favorite restaurants to bring back on their menu. 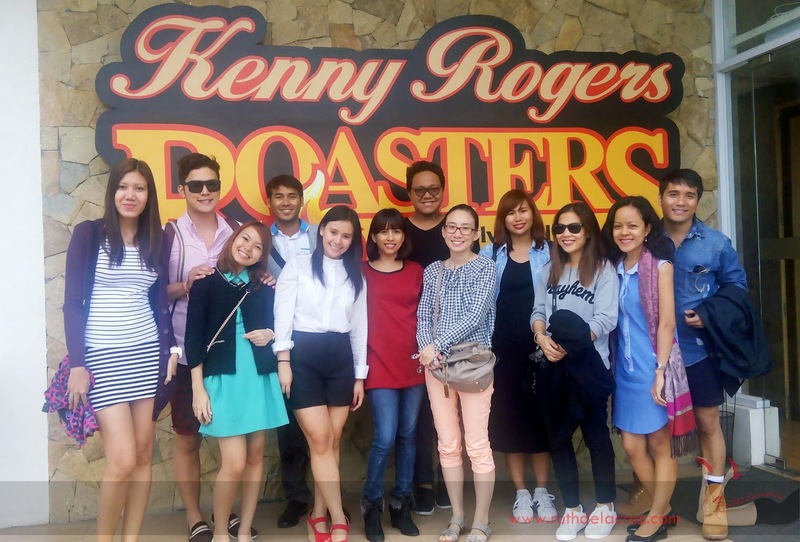 Kenny Rogers Roaster prepared an exciting surprise for us as the team brought us to Sky Ranch, Tagaytay for the come back of Kenny Roger's favorite dishes. If there's one good thing that you want to bring back from last year, what would it be and why? I told #PaulthePRGuy why I did not join the Ms. Universe or any pageant (because the Q&A portion could be nervewracking!) and then I was asked such question. My initial thoughts were filled with London trip - that's one thing I wanted to bring back or extend. But I thought of something else.. keep on reading! It was my second time at Sky Ranch (and Kenny Rogers' is where we also had lunch during our short visit last December) but visiting a theme park is always exciting! 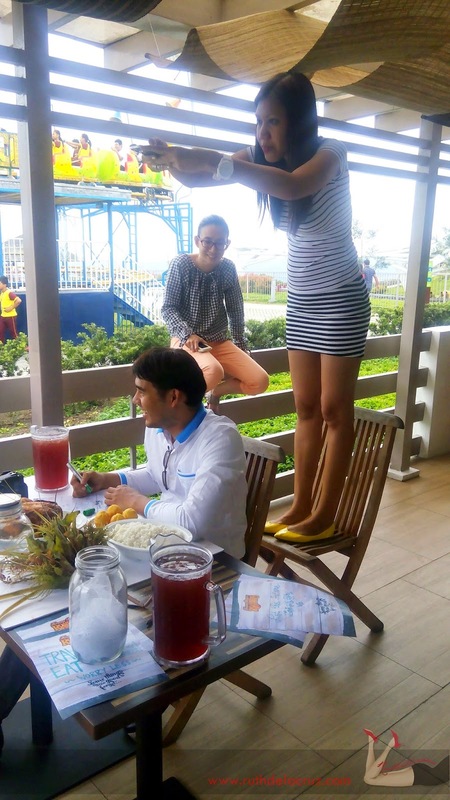 I love the Kenny Rogers Sky Ranch store's ambiance with al-fresco dining and nice view of Sky Ranch's Ferris Wheel and rides. We were welcomed by the Kenny Rogers' team and served with the best and all-time favorite meals from Kenny Rogers (according to the customer feedback that they received last year). The Garlic Butter Chicken (Php 235/meal and Php 770/group meal good for 4). The Butter Garlic Chicken is really affordable complete with rice, pasta, salad and muffin. The chicken is perfectly flavored with garlic gravy sauce. Yum! Kenny Rogers is also bringing back the Garlic Butter Chicken Quesadilla! What is something you want to bring back from last year? I felt that everything seems so orchestrated and planned. My 2014 was so awesome because I let the future surprise me. When 2015 started, I felt kind of worried about what this year would offer me. Now, I am letting the future surprise me again - and enjoy every minute, capturing the moments that are real. Thank you so much Kenny Rogers for having me again! How about you, if there's one good thing that you want to bring back from last year, what would it be and why? © ruthdelacruz | Travel and Lifestyle Blog : Kenny Rogers Brings Back Garlic Butter Chicken!